British buyers have long fought for low prices on Australian wine and a number of producers Down Under have in turn enjoyed enormous volume growth. It remains by far the largest country of origin on UK shelves, the size of France and Spain combined, and it has returned to growth over the summer, but the average price point still stands at just £5.23 (Nielsen, year to July 2017). That is unsustainable for retailers and producers alike in the wake of duty increases and exchange rate pressures, so Wine Australia is on a mission to educate the British public about the country’s ability to compete at higher price points, its regional diversity and its willingness to challenge the sunshine-in-a-glass stereotype with wines that are elegant and complex yet still offer great value for money. To do so it has to negotiate with British wine merchants, who are the gatekeepers of the market it is trying to win over. While Australia and its behemoth brands, from Hardys and Jacob’s Creek to McGuigan and Yellow Tail, dominate in multiple grocers and c-stores, it has not fared so well among independent wine merchants who hand-sell quality wines to discerning customers, so it has turned its attention to them. And they seem impressed. So impressed, in fact, that they have, literally, been singing its praises. When wine buyer Colin Thorne led a group of eminent indies in a raucous chant of “oh San-gi-o-ves-e, oh San-gi-o-ves-e”, to the tune of The White Stripes’ Seven Nation Army as their minibus hurtled through the King Valley earlier this month, the driver could have been forgiven for shaking his head, rolling his eyes and muttering about Brits abroad. But instead of bridging the gap between the wine trade and football hooliganism in one fell swoop, they were expressing their joy at the aforementioned regional diversity, wallowing in the excellence of the Italian varietals produced by Pizzini, Dal Zotto and Chrismont, and the bus driver was loving it, joining in with the exuberant singing to his heart’s content. The King Valley is one of the less heralded regions Down Under but it is one of the most unique. It was settled by Italian immigrants and retains a huge Italian influence: the people look Italian, wear Italian designer labels, cook Italian food and grow Italian grapes. You could easily be forgiven for thinking you are in Italy, until one opens his mouth and says: “A wallaby got under a wombat hole and ripped through my vineyard.” Apart from perhaps the Adelaide Hills – which is a smorgasbord of different styles, varietals and characters – each region has pretty much established what it is best at and presents a clear and simple message to the world: the Hunter has Semillon and Shiraz, the King Valley has its Italian varietals, the Yarra has Chardonnay and Pinot, Barossa has Shiraz and Chardonnay, McLaren Vale is showing everyone how stunning Grenache can be, Coonawarra has Cabernet, Tasmania is producing superb Pinot and sparkling wine, and so on. There is still experimentation and dynamism, but the different regions’ leading lights are all pulling in the same direction and working collegiately to increase the general quality of the wine and the clarity of their marketing messages. Even high volume companies like Australian Vintage are at it. It does not simply produce high-volume, fruit-forward, cheap and cheerful wines, as Hall keeps winning medals and trophies for his exquisite Hunter Valley Semillons, and the same critical success is apparent for high-end offerings from the likes of Treasury Wine Estates and Accolade. Across the board Australian wines are becoming more restrained and less reliant on oak or overblown, jammy flavours as winemakers discover the confidence to let the fruit shine through in an elegant and complex fashion. “The more commercial side of things, wine that could just as easily be from South America, is being given the flick and we now have wines that are much more about region, place and the synergy between the winemaker and the soil,” says Dave Lehmann, son of the famous Peter and owner of David Franz Wines in Barossa. They are emblematic of winemakers across the country that talk a good game and whose wines live up to it. Independents are perfectly poised to capitalise on the improvements Australia has made in the higher tiers in recent years and they fully intend to. Ruth Yates, owner of Cheshire-based chain Corks Out, has long been converted to the cause but intends to ramp up the number of Aussie wines on her shelves, where the average price of still wine is £25. “People are changing their views on Australia because they thought about big oaky Chardonnay and didn’t consider it to be elegant or delicate in any way. They saw it as a big, hot region that just produces one style, with overblown fruit, and that has changed a lot. “The Australians have changed a lot in the last decade, by really seeking out those cooler regions. Consumers can still find big, full-bodied Aussie wines, but it’s nice that there are a lot more areas that are bringing in a European style. Western Australia has been known for that for a while, but it’s really great to see other areas producing good quality wines that give Burgundy a run for their money in Pinot and Chardonnay. I am really impressed. Australia forms a very big part of our portfolio now. After Champagne it’s the biggest part. It’s the biggest still wine category, ahead of France. Australia will carry on growing. It is still a sleeping giant. But it is not just indies that are interested in devoting more attention to premium Australia. Freddy Bulmer, buyer for the Wine Society’s 110,000 active members, says: “We are putting a lot of work into Australia. We are always on the hunt for interesting new things, keeping an eye out for opportunities. It’s a matter of trying to tell the story and explain that Australia has reinvented itself and that it’s not just about over-the-top, oaky Chardonnay any more. “There is still a perception of that in the UK. For an engaged wine consumer – and we are lucky enough to have a number of them buying from us – there is so much going on in the world of wine at the moment, and so many stories from so many regions globally, and so much excitement, that you have to really shout extremely loud to get heard, and Australia is doing that because the quality is excellent. 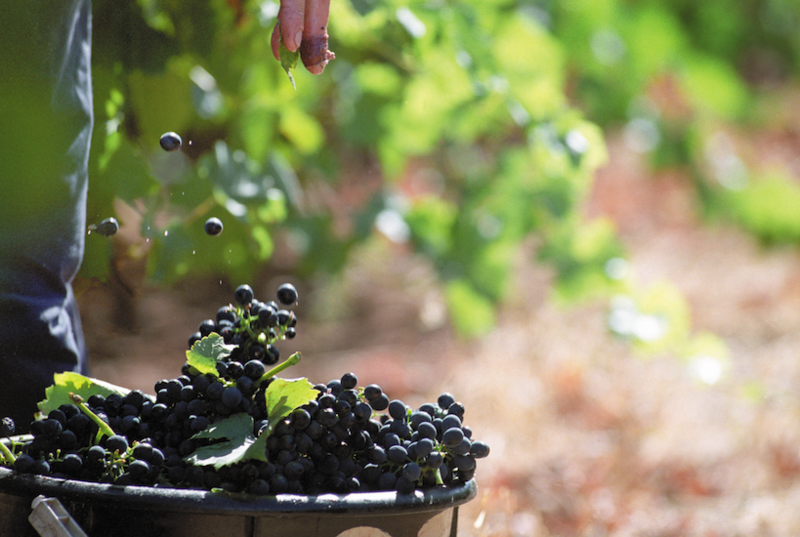 It’s a matter of us being persistent and telling the story of Australian wine. 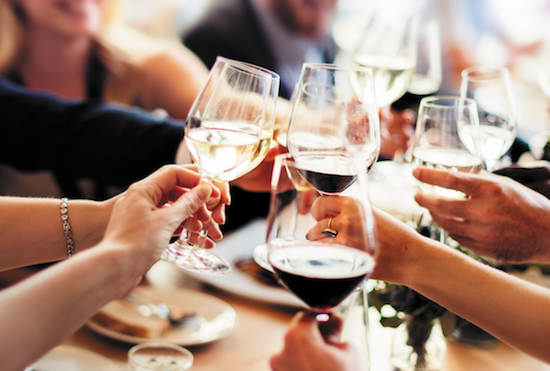 Smaller, iconic producers like Henschke and Grange can afford to put prices up, because demand constantly outweighs supply, but the challenge for many UK retailers is finding wines that bridge the gap between the mainstream brands and the top wines. Matt Hennings, owner of four-strong Sussex chain and wholesaler Hennings Wine Merchants, adds: “We are never going to sell pallets of these wines because of the price points, but there are enough wines that are suitable for independents. You have to remember our average selling price is between £8 and £12 and we are never going to sell loads of wines retailing between £16 and £30, but there is enough here to jazz up our range. We will increase our range, but in a controlled fashion. A term you will hear bandied about a lot in Australia is “emerging varieties”, which refers to pretty much anything that is not French in origin. 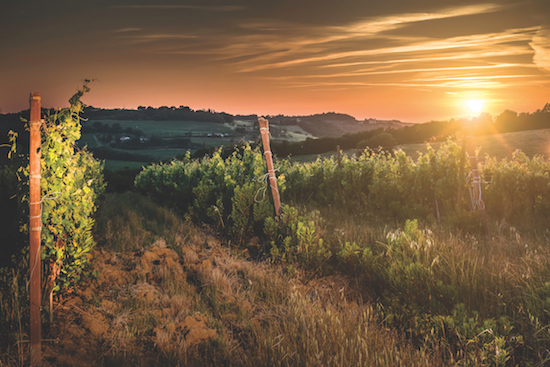 The nation’s pioneering spirit is embodied by the huge wealth of different grapes that winemakers are experimenting with, from Assyrtiko to Durif, and there has been great growth in some of the lesser-heralded grapes, albeit from a small base. Australian Touriga Nacional, for example, is up 575% in the UK, Sangiovese has grown 396%, Fiano has climbed 273% and Vermentino is up 185%, according to Wine Australia. Each region has pretty much nailed down which main varieties it is good at, and has devoted the majority of the land under vine to them, but there are other grapes that are being given a lot of attention by some of the younger winemakers. Simon Taylor, of Winchester-based Stone, Vine & Sun, gets straight to the point with his assessment of the movement. “I was not loving the alternative varietals, because I sell Vermentino from the Languedoc for £8.99 that is much better than what I was offered in Australia,” he says. “Ditto some of the other emerging varietals. However, there is a clear future for red Italian varietals in Australia, in particular Nebbiolo. In the cooler regions Nebbiolo fits beautifully and will work very well alongside Pinot Noir as a top quality Australian varietal of the future. I think Tempranillo is a dead end, in the sense that it is just simple strawberry fruit. “What won’t work well in the UK market is very ordinary examples of, say, Fiano or Gruner Veltliner, that might work for buyers in Sydney and Melbourne but aren’t suitable for the UK market at those price points. Simon Thorpe, managing director of Negociants UK, points to Jim Barry’s Assyrtiko or Chaffey Bros Dufte Punkt, a blend of Riesling, Gewurztraminer and Kerner, as strong examples of innovation coming out of Australia. “Innovation could be in new varietals or emerging regions, or in winemaking excellence, or the fact that all wines under the Yalumba brand are now vegan and vegetarian friendly,” he says. 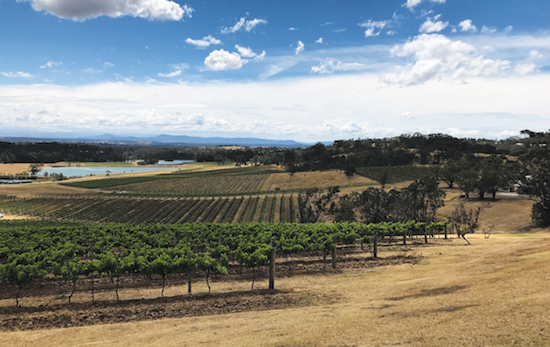 “Australia has for many years been at the forefront of quality wines at large volume, but this is now joined by quality and diversity across many producers and regions. “It’s easy to point to new varietals or regions growing in importance, but actually I think there is real interest to be found in the advancements and creativity in the established players in the market. “For example there has been a revolution in styles of wines from an established region such as the Barossa – a transition to more elegant wines with no loss of a sense of place. South African Master of Wine Greg Sherwood, buyer for London indie Handford Wines, believes it is difficult for Australia to compete with his homeland because it lacks the diversity and unique selling points South Africa boasts. Which regions impress the wine buyers?